OPI celebrated a colorful transformation in historic Los Angeles, California neighborhood Little Tokyo. Japanese lanterns strung across light poles led up to the brand’s festive event, complete with manis, spring shades and lots of hashtagged selfies. The culturally-rich area buzzed with locals on their lunch hour enjoying matcha lattes, mochi and goodies from the nearby market. 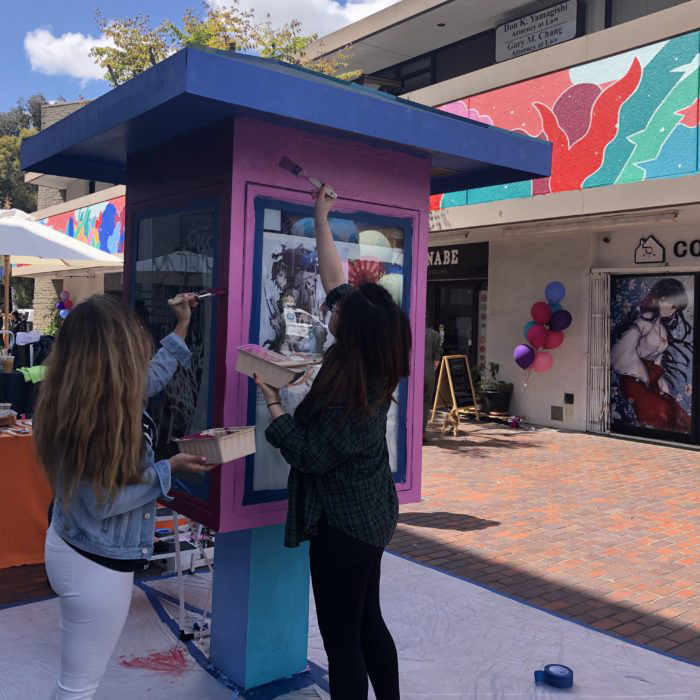 The OPI team alluded to the newly painted mural by Kent Yoshimura and artwork by painting attendees’ nails with shades from their spring Tokyo collection, while Dōnatsu Doughnuts provided handcrafted vegan treats in an array of colors and flavors—perfect for the art-inspired event. Muralist Kent Yoshimura spoke on what inspired his art and love for vibrant and growing Little Tokyo. OPI’s mission to bring more color into the community certainly brought with it lots of helping hands, laughs and memories made. Because after all, #coloristheanswer!